STAMFORD, Conn. – October 13, 2014 – Following the international break, Premier League coverage continues with second–place Manchester City, last season’s champions, and forward Sergio Aguero (five goals in seven Premier League appearances) hosting sixth-place Tottenham this Saturday, Oct. 18, at 7:45 a.m. ET on NBCSN and mun2. NBC Sports Group’s Premier League lead play-by-play announcer Arlo White calls the match joined by Lee Dixon at the Etihad Stadium. Also on Saturday, first-place Chelsea and forward Diego Costa, the Premier League’s leading scorer with nine goals, visit Crystal Place at 10 a.m. ET on NBCSN and mun2. Chelsea, six wins and one draw, are off to their best Premier League start since the 2005-06 season, when they won their first seven games and went on to capture the Premier League title. All matches not shown on NBCSN in the Saturday 10 a.m. ET window will be available on Premier League Extra Time, a bonus television package available to MVPDs at no extra cost for customers who receive NBCSN. Premier League viewership through the first seven weeks of the season is up 16% on NBC/NBCSN with an average of 498,000 viewers per telecast (vs. 429,000 for last year’s opening seven weeks). NBC presents a live, 90-minute, Match of the Day at 12:30 p.m. ET on Saturday hosted by Rebecca Lowe, joined by former Major League Soccer and U.S. Men’s National Team midfielder Kyle Martino and former Premier League footballer Robbie Mustoe, providing in-depth analysis, plus, post-match interviews and reactions from the day’s matches and extended highlights with match commentators. On Sunday, coverage begins at 7:30 a.m. ET with Premier League Live on NBCSN followed by Queens Park Rangers hosting Liverpool and captain Steven Gerrard on NBCSN and mun2. White and Dixon call the match from Loftus Road. Stoke City host Swansea City at 11 a.m. ET on NBCSN, wrapping up Sunday’s match coverage. On Monday, coverage begins at 2 p.m. ET with Premier League Live on NBCSN followed by fourth-place Manchester United and midfielder Angel Di Maria, who has three goals and three assists in five appearances since joining the club for a British record transfer fee (approx. $99 million), visit West Bromwich Albion at 3 p.m. ET on NBCSN and mun2. The Red Devils come off a 2-1 victory over Everton. NBCSN presents Goal Zone live at 1 p.m. ET on Sunday followed by NBCSN’s live, 60-minute Match of the Day II at 2 p.m. ET featuring host Lowe, joined by Martino and Mustoe. THE MEN IN BLAZERS SHOW hosted by Michael Davies and Roger Bennett returns next Monday, Oct. 20, at 10 p.m. ET on NBCSN, with an encore at midnight ET. 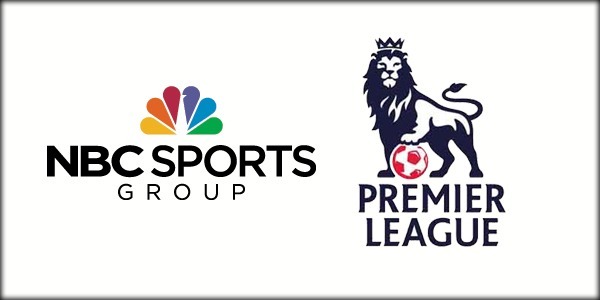 All matches will be preceded and followed by Premier League Live pre- and post-match shows from the NBC Sports Group International Broadcast Center in Stamford, Conn. Lowe hosts Premier League Live alongside Martino and Mustoe. Arsenal v. Hull City on Saturday, Oct. 18 at 10 a.m. ET will be shown in select U.S. cinemas for “Barclays Premier League LIVE.” For a complete list of theater locations and prices, visit www.FathomEvents.com (theaters and participants are subject to change).